If durian were a car, it would be no other than a Lamborghini - the most exotic production car that ever rolled off an assembly line! It's not for the faint of heart. Because of its pungent smell, it is banned in hotels, restaurants and flight hand-carrys. But for the durian lovers, it's an aromatic fragrance you may actually use as body spray if there ever was one. Yes, you can't stay in the middle with durian - love it or hate it. 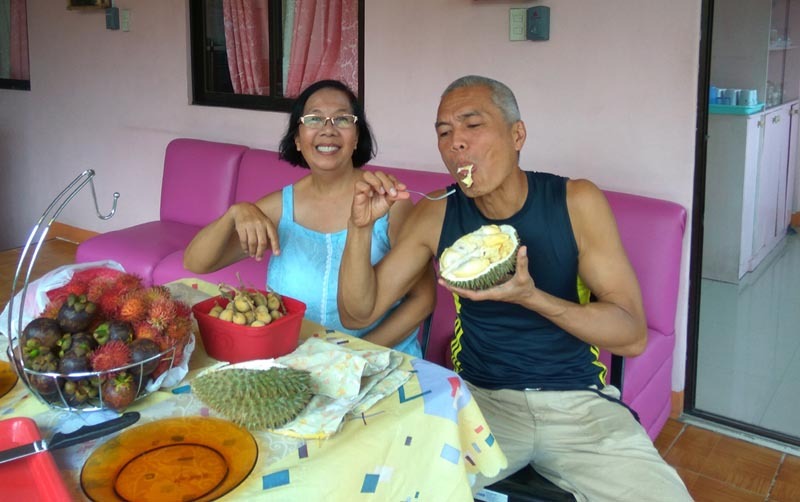 My 2 reasons for coming back to Davao was to renew my passport and to indulge myself in my 1 kilo/day durian fix (plus or minus). 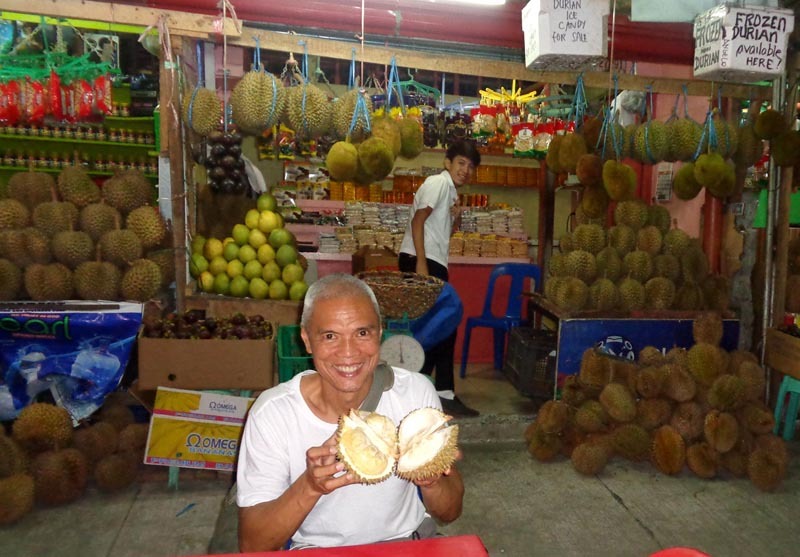 When I was in Penang (Malaysia), I craved their top-of-the-line Munsang King durian. But at US$13/kilo (whole fruit), it was beyond my reach. All I could do was to salivate and leave the country wondering how it tastes like. I was frustrated to say the least. I vowed to have my durian revenge. 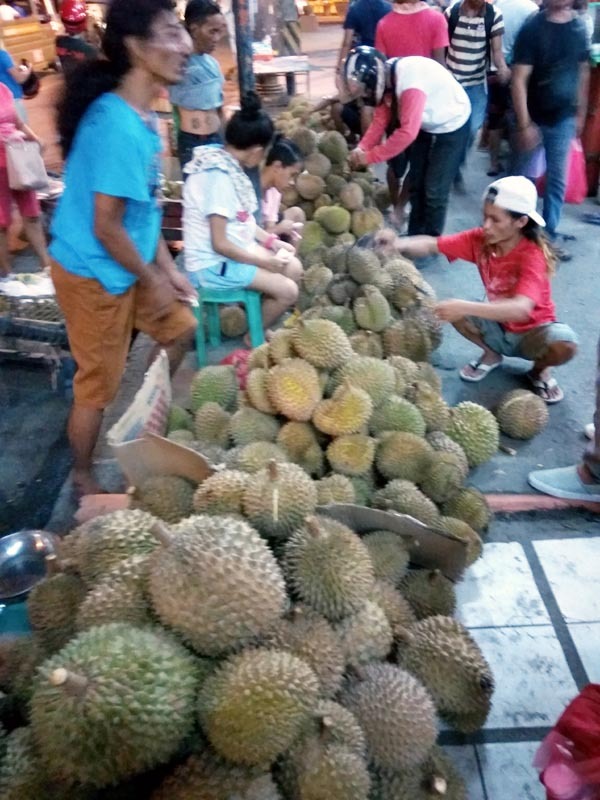 With the durian season in full swing in Davao, it was a timely opportunity I could not refuse. 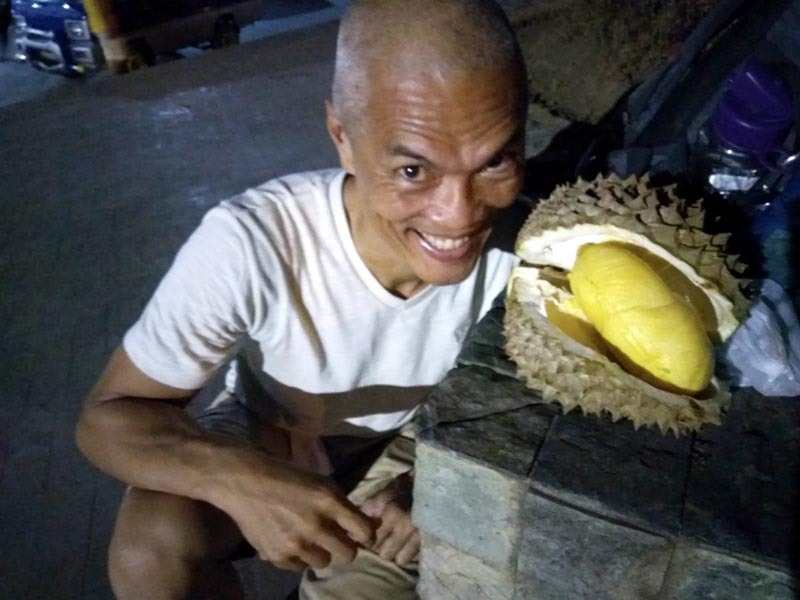 I could have stayed longer in Singapore, but the spectre of arriving too late in Davao for its durian season was unacceptable. Despite standing hotel credits and increased ease, I left Singapore for my beloved Davao. 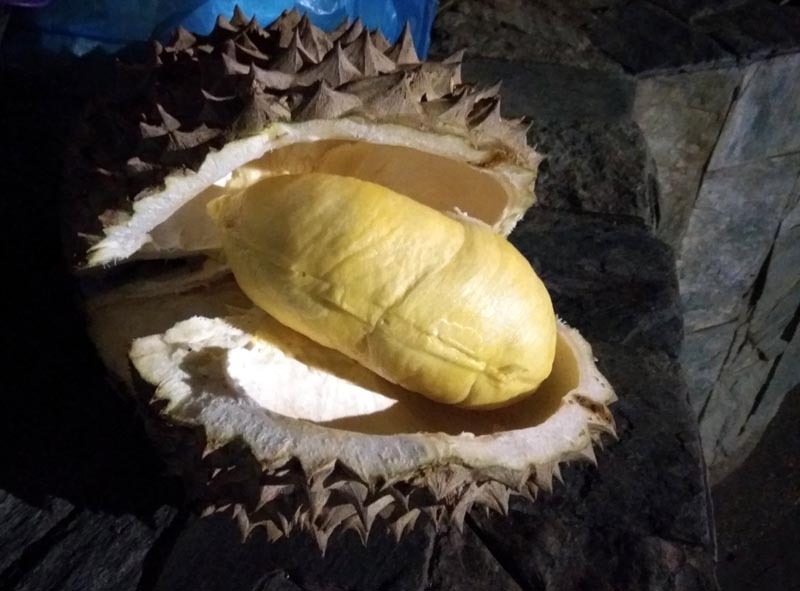 in my elements devouring a full kilo of durian...sometimes 2! I savored all varieties. The price difference between the cheapest native variety (P40/k | US$0.87/k) to its Premium Puyat (P60/k | US$/1.30k) is manageable. In Penang, the price disparity between the cheapest and the dearest is a continental-divide - US$5 to US$13! Sure, I've tasted the lesser kind, but not the King! 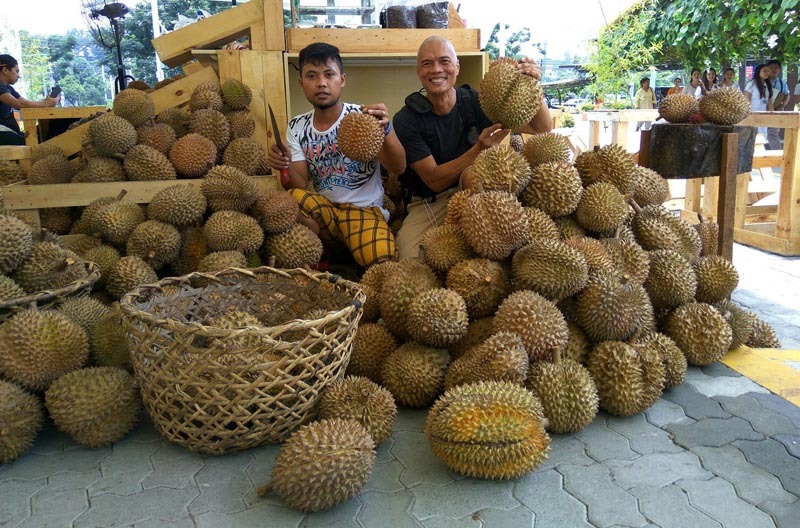 Durian varieties, like a woman, offer a wide range of sensory experience. Cob's meaty and creamy flesh is succulent. Puyat's sweet taste, small seed and more meat is generous and giving - almost to a fault. Arancillo's bitter sweet offering is a forbidden but tempestuous affair. The native variety's big seed, thin flesh but intense flavor is a measured indulgence, a woman telling me, "I'll let you bother me once a week". Yes, they are all magnificent and like a woman, they are infinitely fascinating. Durian can come across any way you like it - as an exotic Lamborghini, an infinitely fascinating woman or a fragrant body spray (I'm not sure about durian breath though...LOL!). To those who hate it, thank you - less competition on the table. 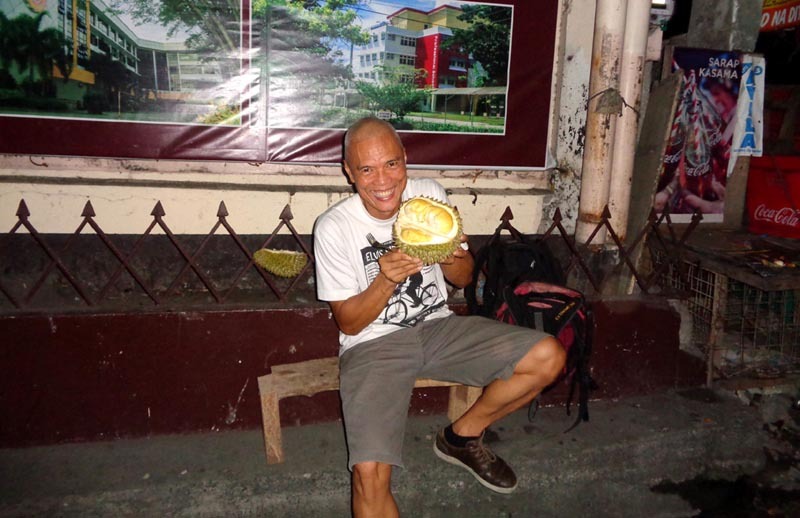 After the season, I'll be a traveler without a sense of bearing - where on God's green earth do I go for my durian fix? 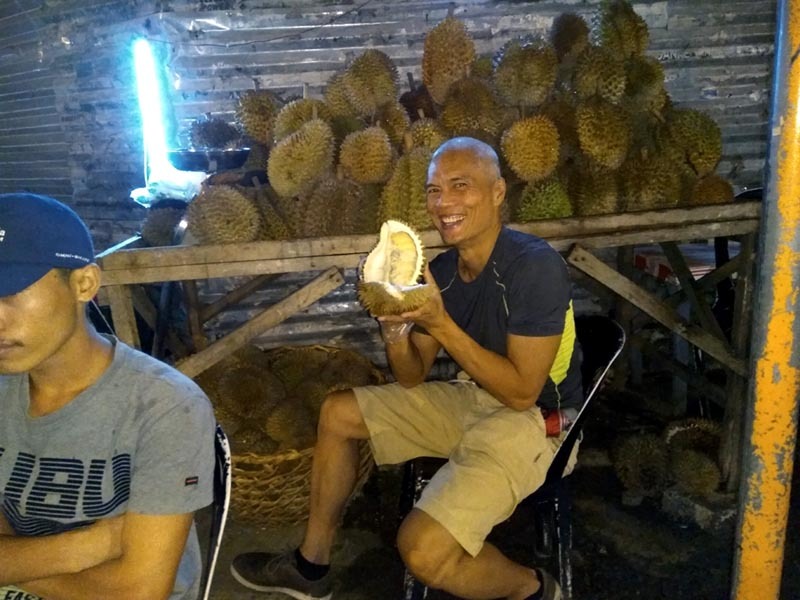 It doesn't matter where the wind blows me knowing fully well I've exhausted my durian possiblities in Davao while the glorious season lasted. (Sep. 13, 2016) Haha! Durian all you want!